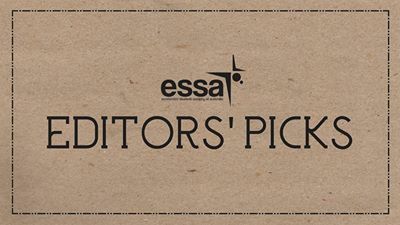 Each week the ESSA Editors pick out the best articles from the latest in the world of economics, politics, and everything in between. This week in Editors’ Picks we look back on the influential life of Ronald Coase, The Liberal Party’s economic skews, Obama’s upcoming decision on who should next lead the Federal Reserve, and much more. Read on for your latest fix on what’s trending in eco! Keynes or Hayek? While one may perceive the Liberal Party as having a Hayek-ian skew, Geoffrey Grant explains why, in a post-GFC world, Abbott’s policies appear to be more influenced by Keynesian philosophy. Legendary economist and Nobel Prize winner, Ronald Coase, passed away this week at the age of 102. His unorthodox approach to economics and the establishment of ‘The Coase Theorem’ had a significant influence on contemporary politics. Cassidy reflects on the life of one of the most influential economists of the modern era. With Bernanke soon to end his eight-year stint as the Federal Reserve’s chairman, President Obama faces the crucial decision of who to choose to fill his seat. The Economist offers its insight on final candidates, Larry Summers and Janet Yellen. The emergence of a more enlightened approach to migration in the US foresees an American reform which would grant citizenship to over 11million migrants. The rationalisation for the US Senate’s reform is that the net benefit of migrants will be positive as a result of the nations increased accessibility to global talent, innovation, and creativity. Sutherland provides a thorough analysis of the impact this reform will have on the US and world economy. Are the US jobs figures really what they appear? Another article from John Cassidy examines American unemployment, participation rate, population and market structure to reveal the unsettling conclusion that the US jobs market may be even weaker than statistics suggest.